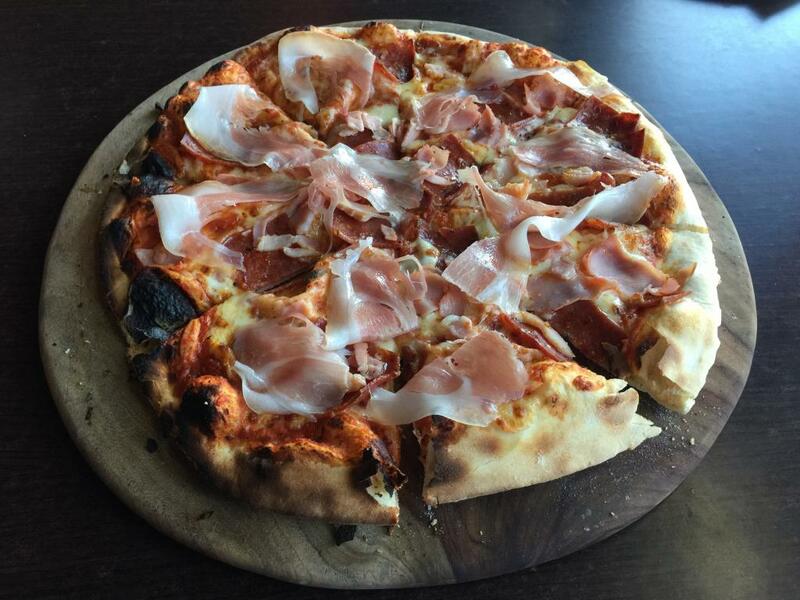 Tomato, mozzarella, salsiccia, ham, prosciutto, pancetta. The pizza isn't as slathered in meat as I'd expected. The meats don't add a strong taste to the pizza. It's really only the salami that I can taste. This is pleasant enough, but nothing above a typical pizza. The kids have been playing up a bit, and the parents turn on a TV above my head.